Hello! 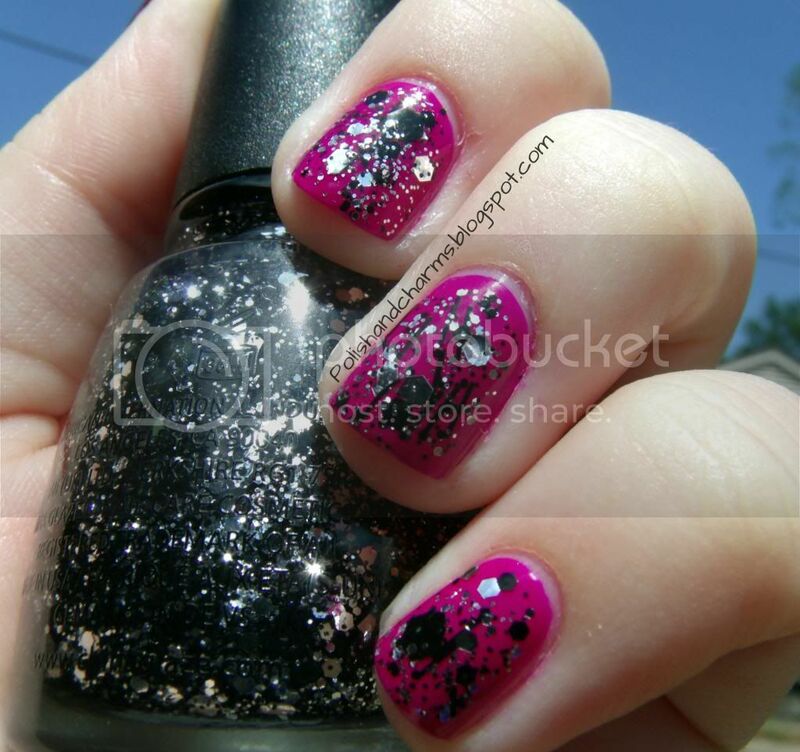 Yesterday I showed you Sinful Colors Why Not and I decided to jazz it up a little. I added China Glaze Glitz'N Pieces. I really like how this turned out! I think it added just the right amount of sparkle and a little edge. Enjoy and stay tuned tomorrow to see what else I did with this manicure! I think I have the exact same polish from CG. I was disappointed in the swatches I saw, but when I do get around to trying it I will definitely be putting it over a pink! It's stunning! I love Glitz'N Pieces! It looks lovely over Why Not! You should! I like this one a lot!